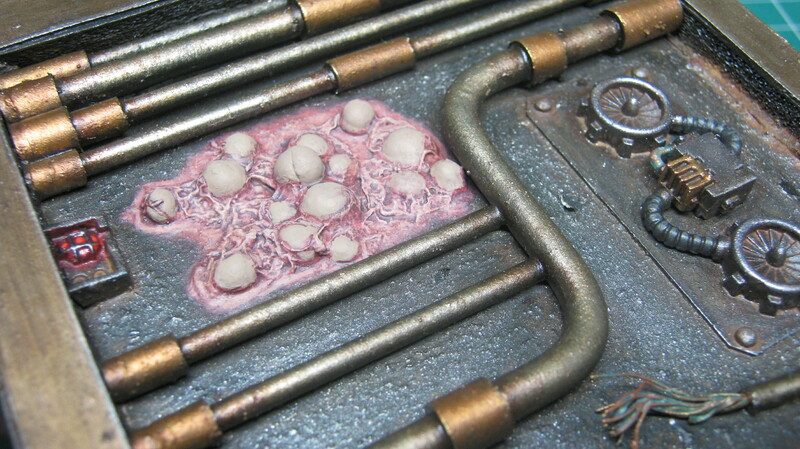 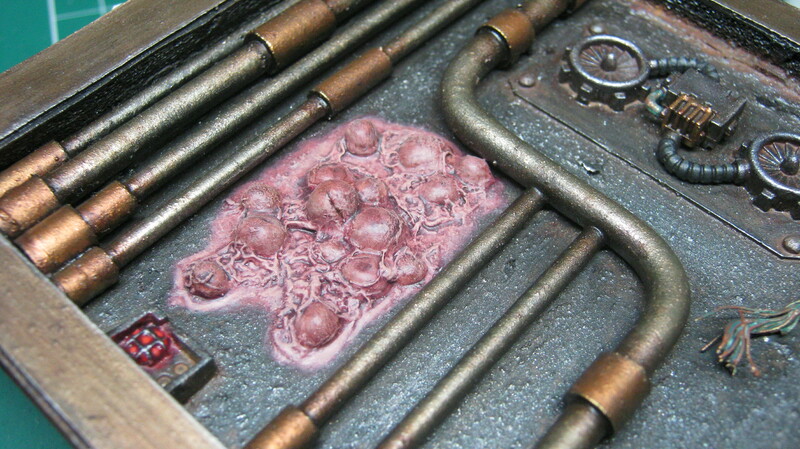 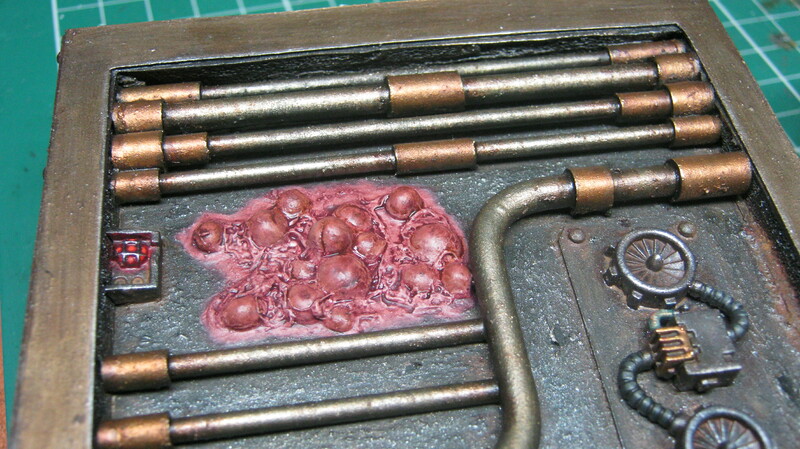 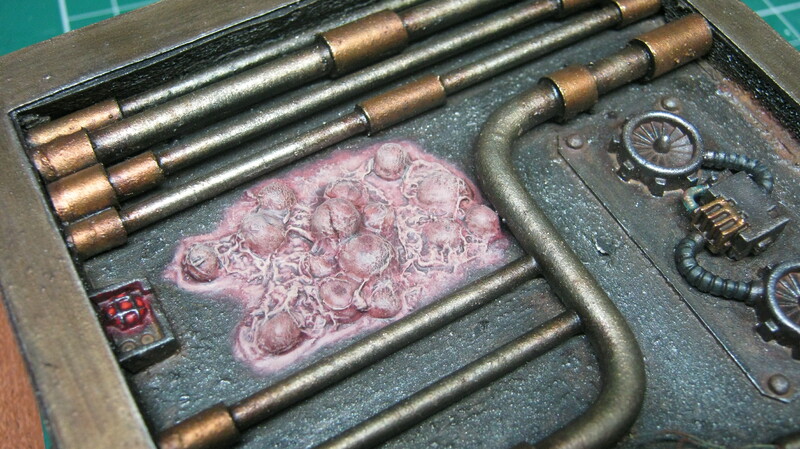 I decided to model genestealer eggs underneath the flooring. 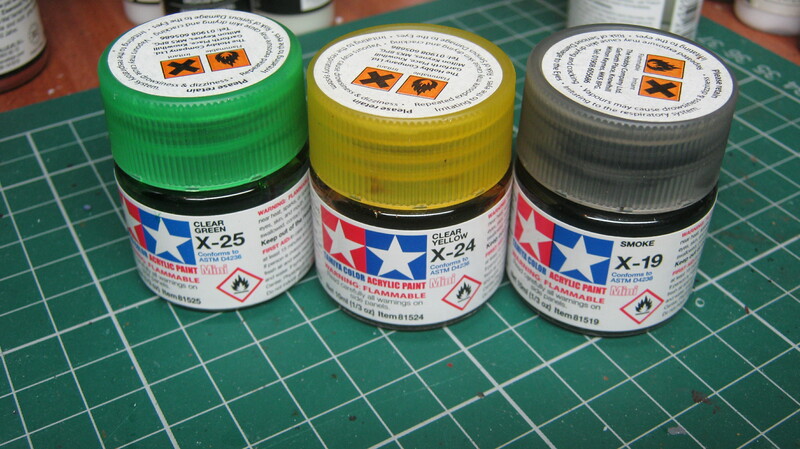 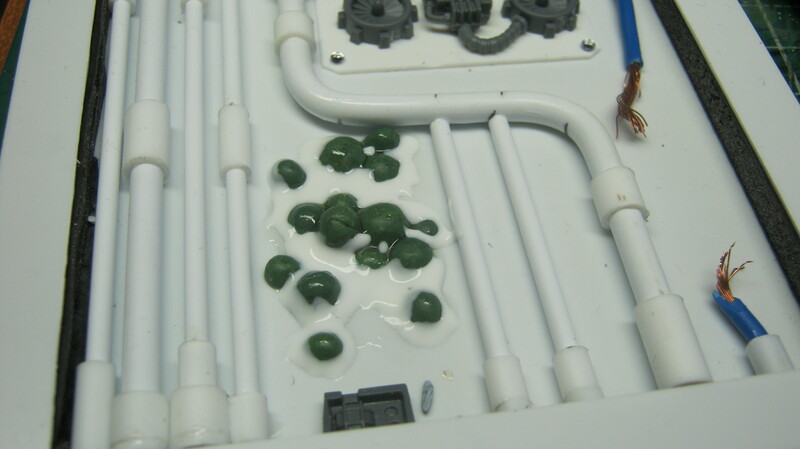 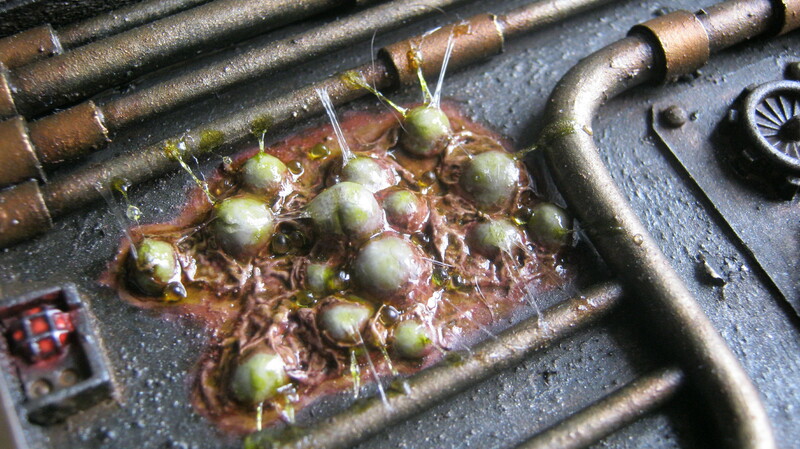 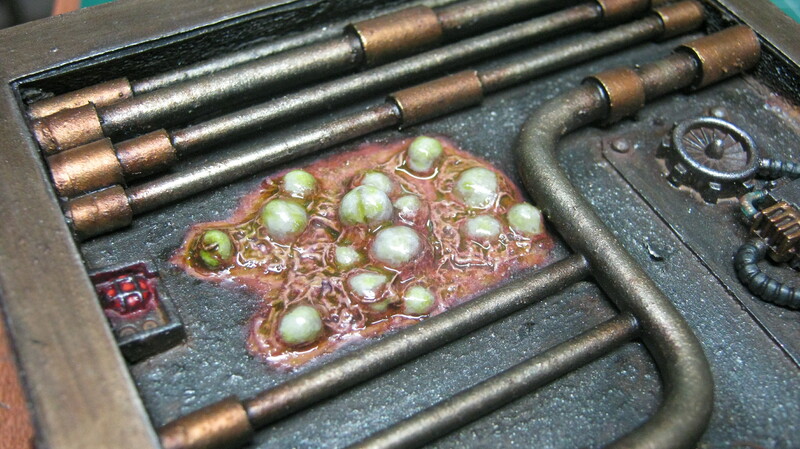 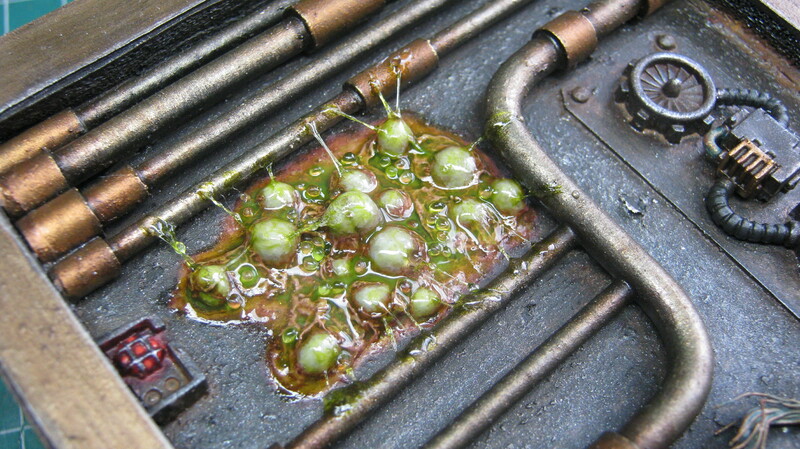 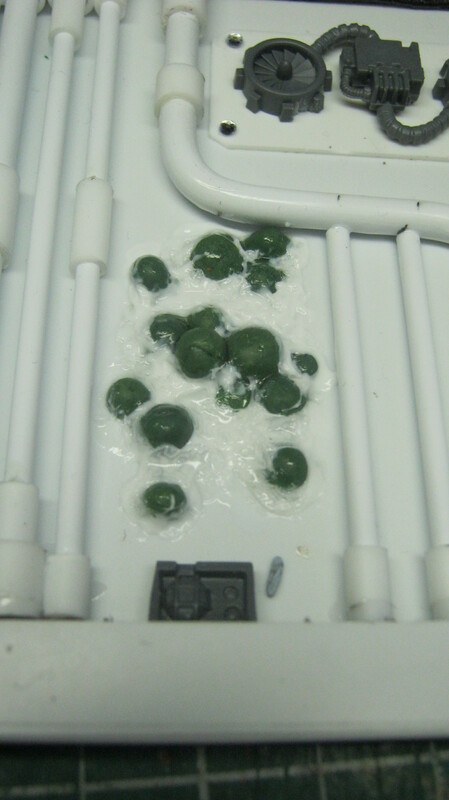 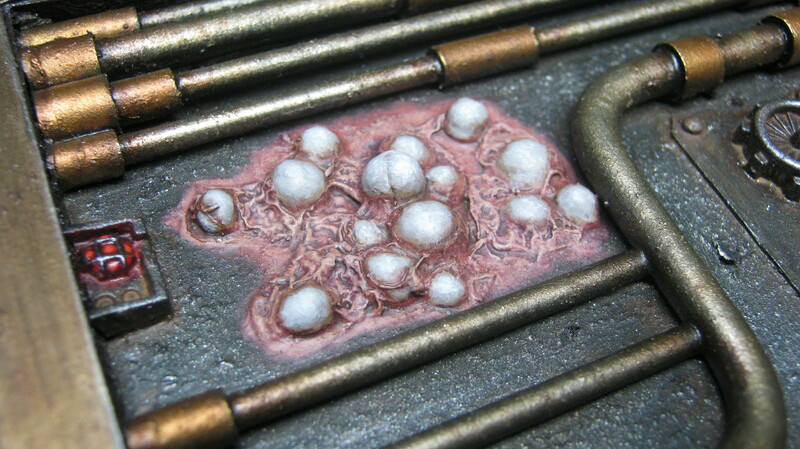 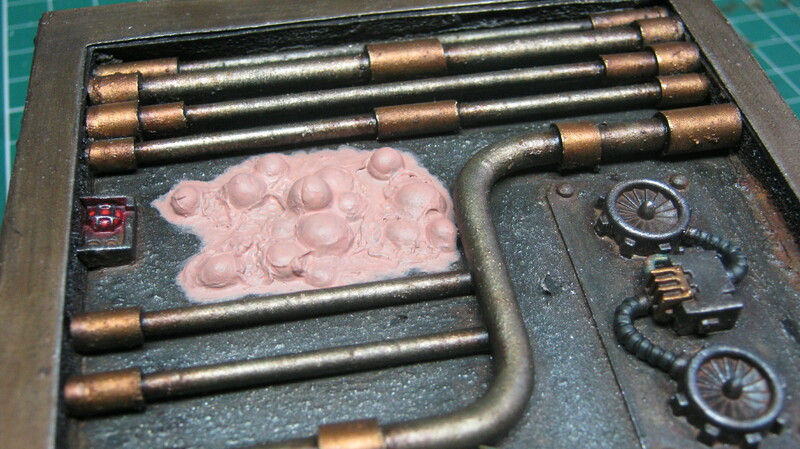 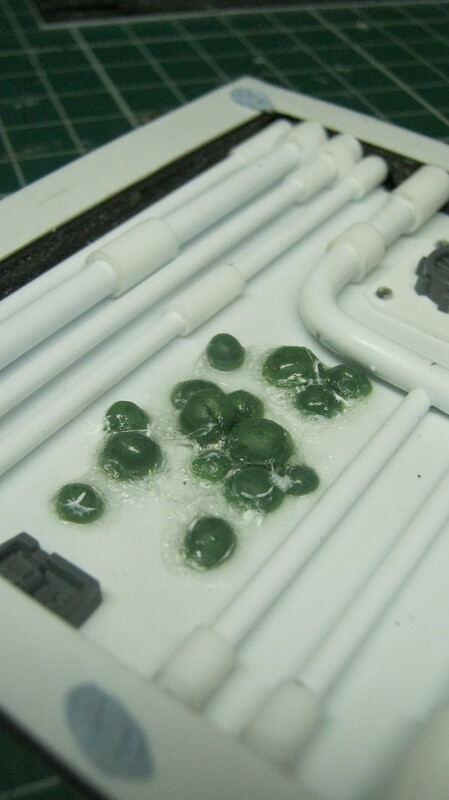 First, make small balls of varying sizes out of greenstuff, or any similar putty. 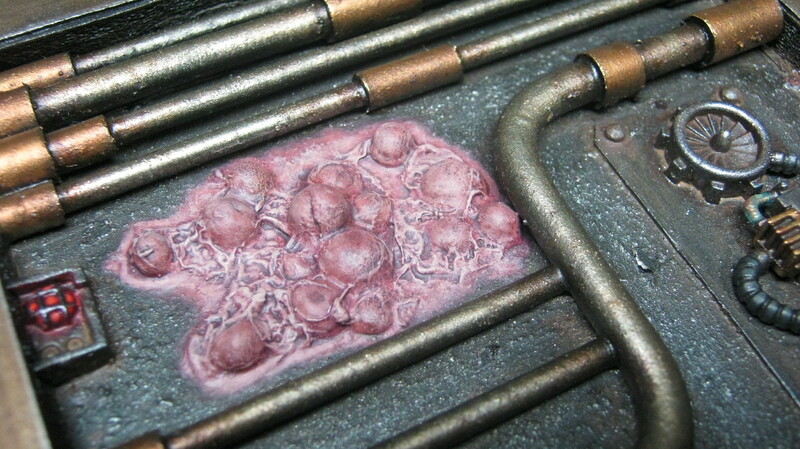 When they’ve cured, cut them in half, or remove the lower third. 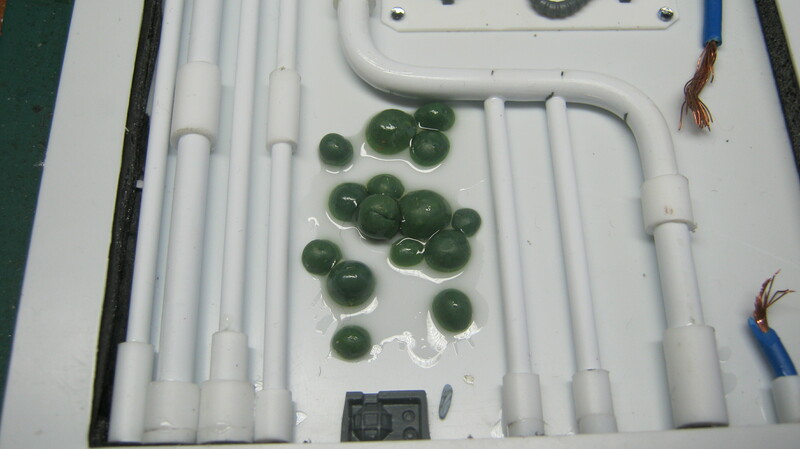 These will form the eggs. 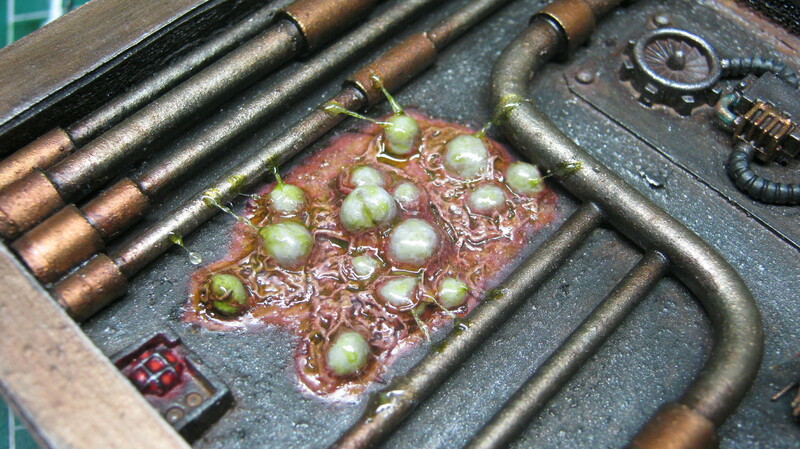 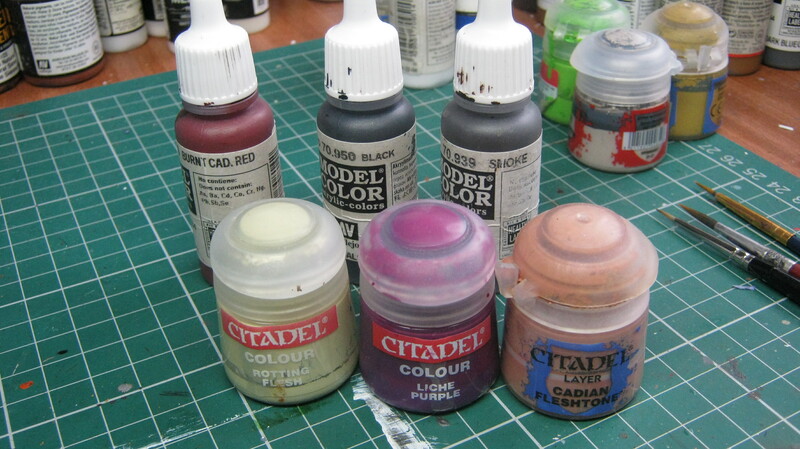 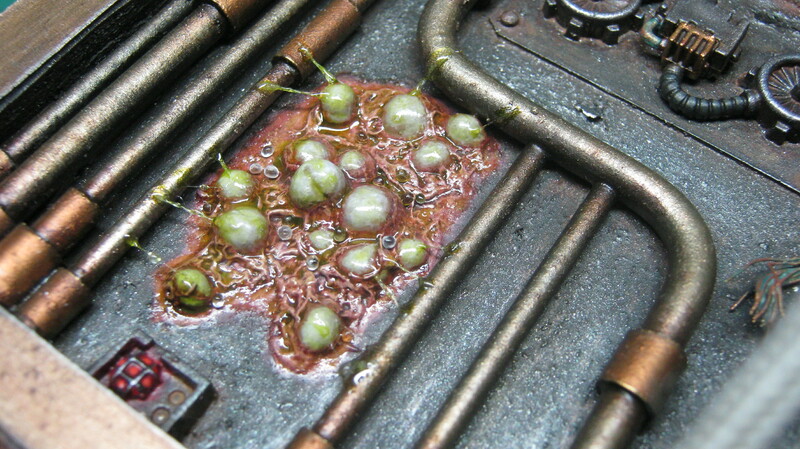 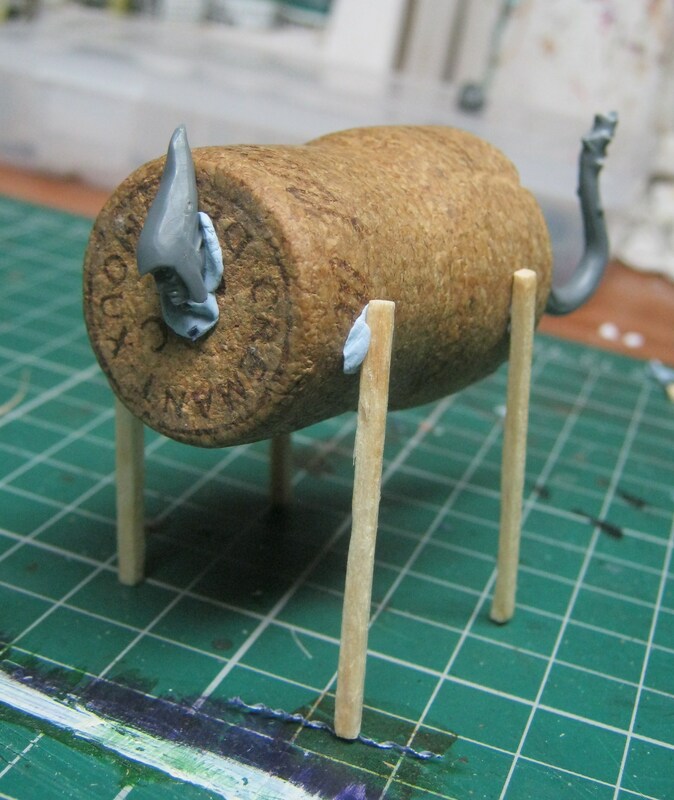 I will make a tutorial on how to paint these, and make them look suitably gruesome, in the near future. 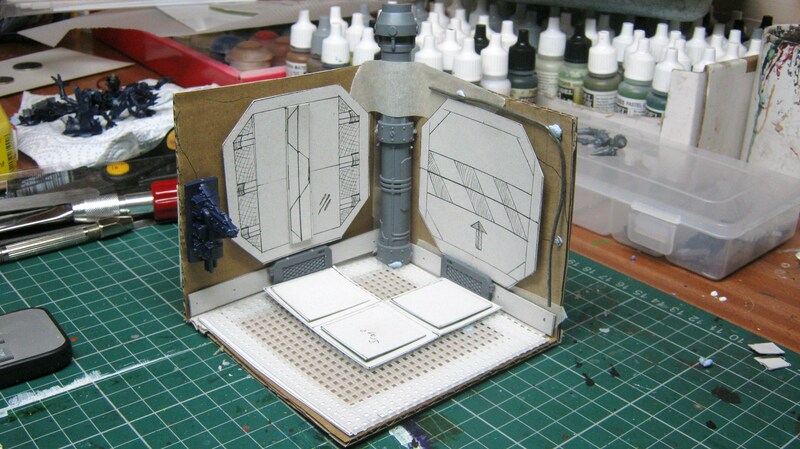 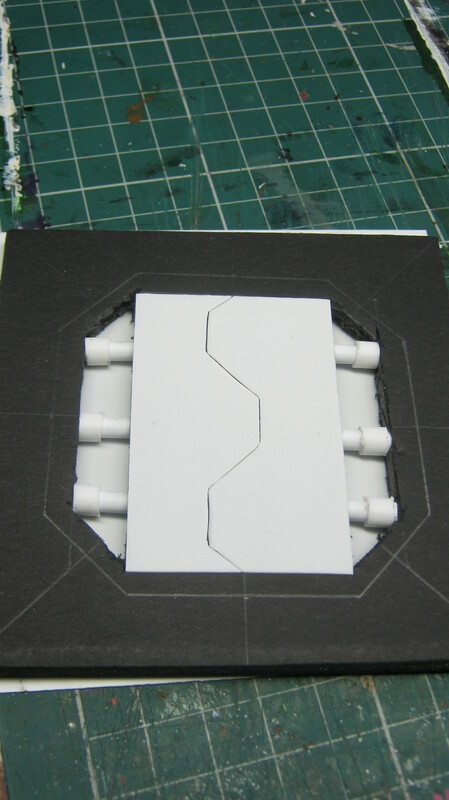 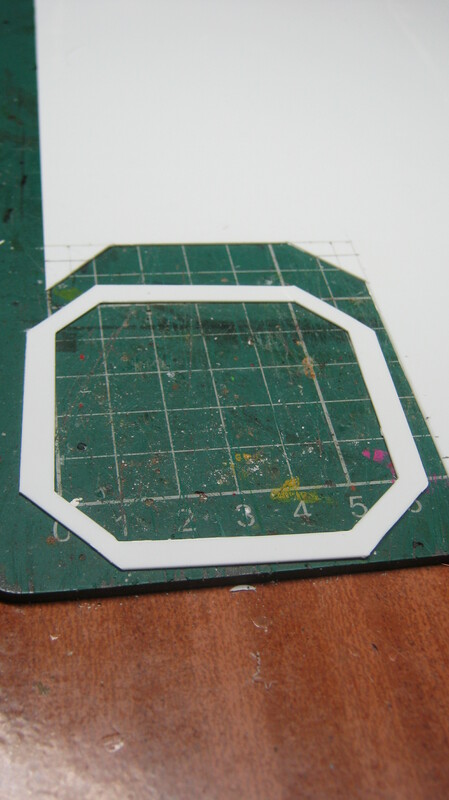 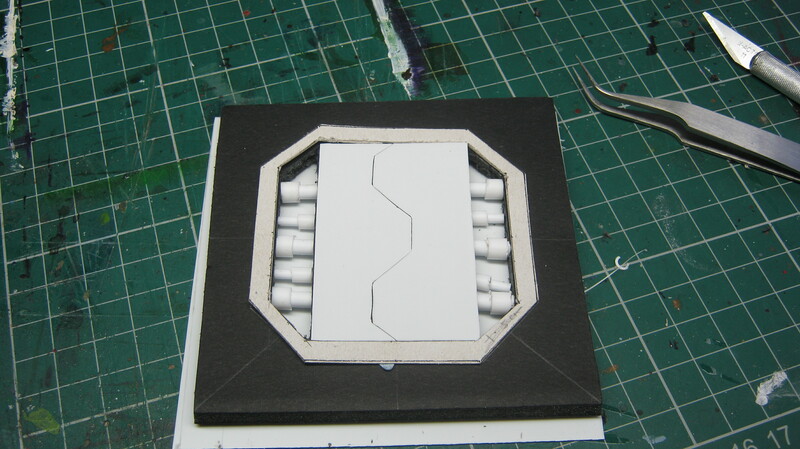 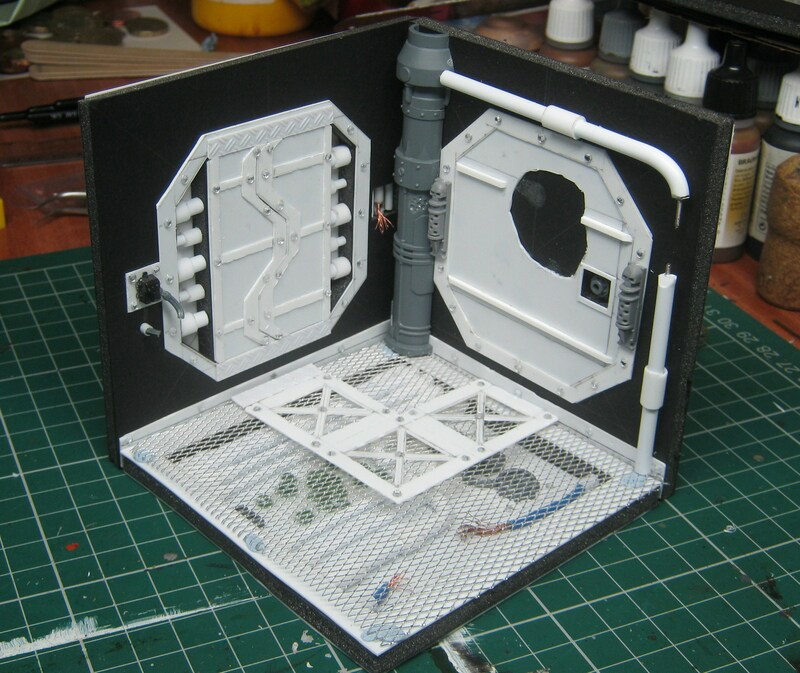 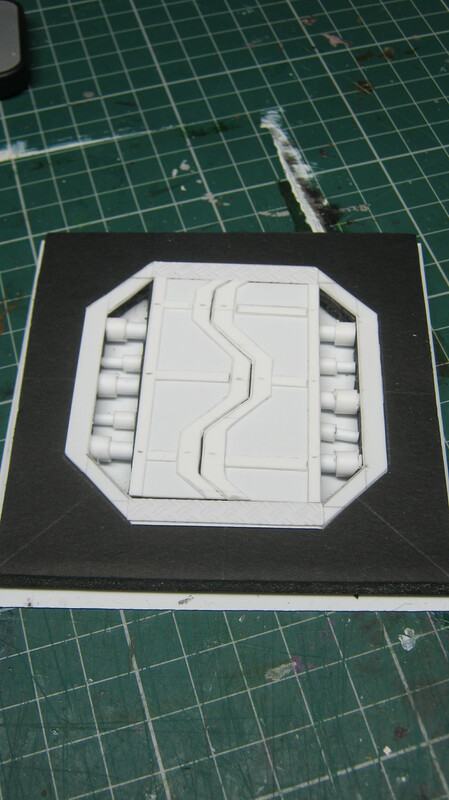 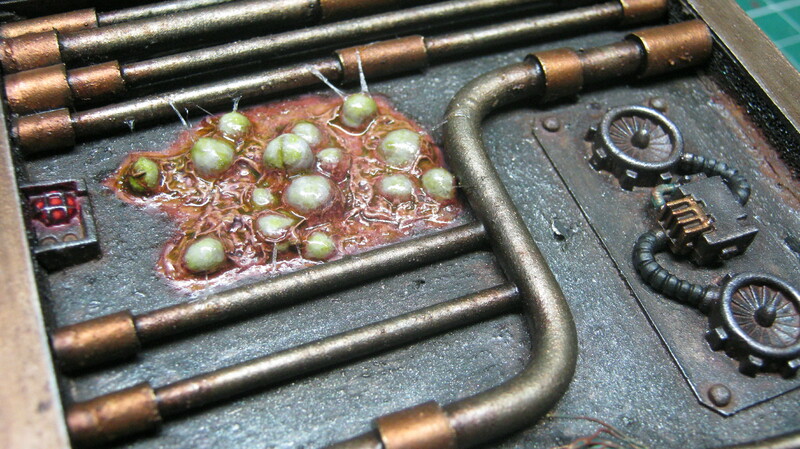 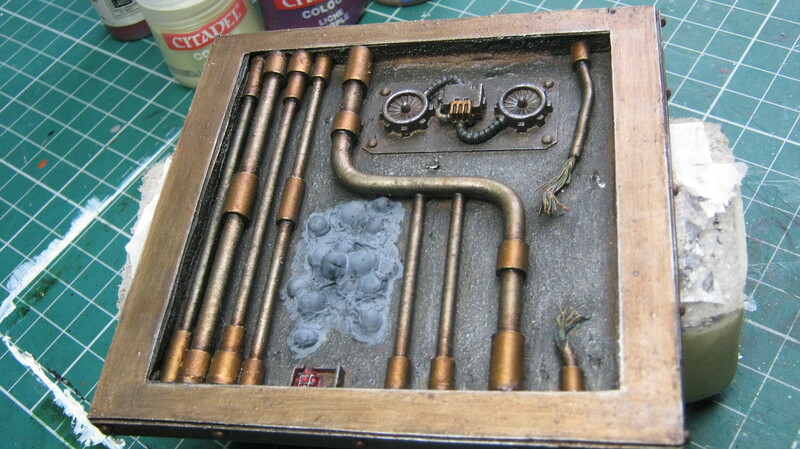 I’ve finished one of the space hulk panels, and thought it might be helpful to make a tutorial. 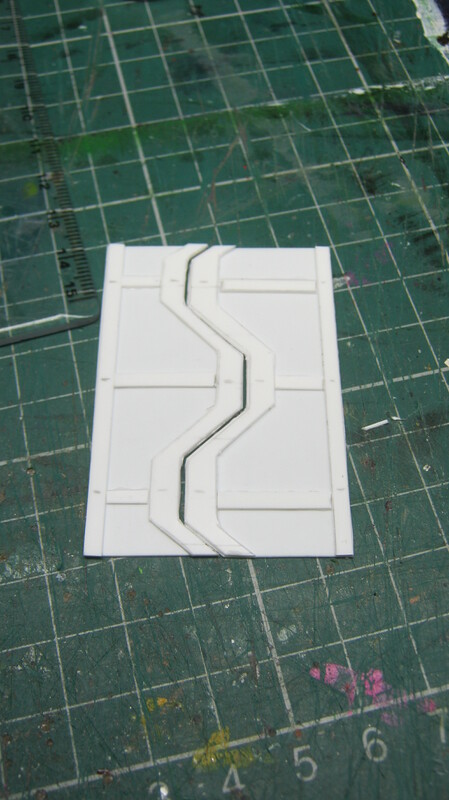 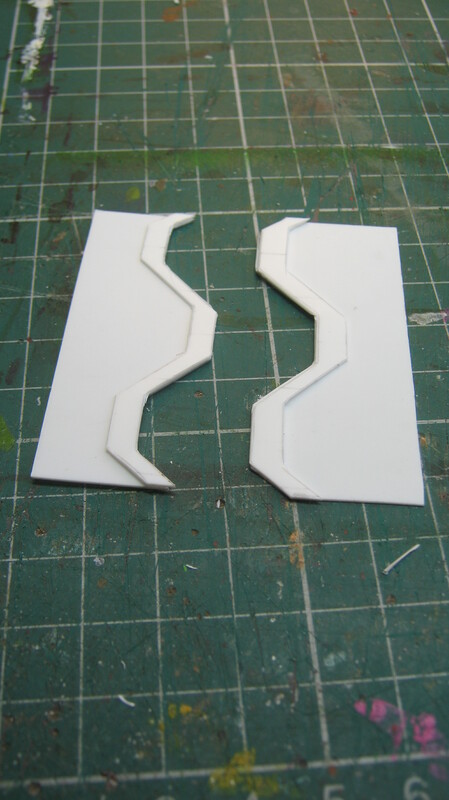 I’m not particularly good at straight-edge modelling, and this was an exercise in trial and error – but if you want to make something similar, here’s how to do it. 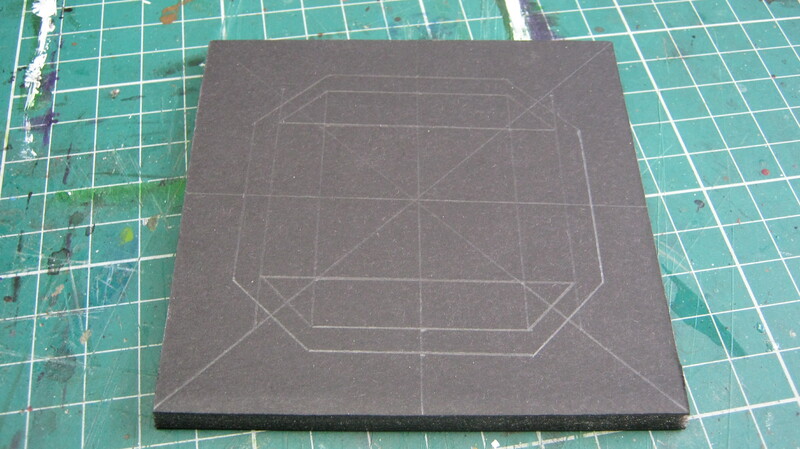 I would recommend making a practice-run before starting the finished piece. 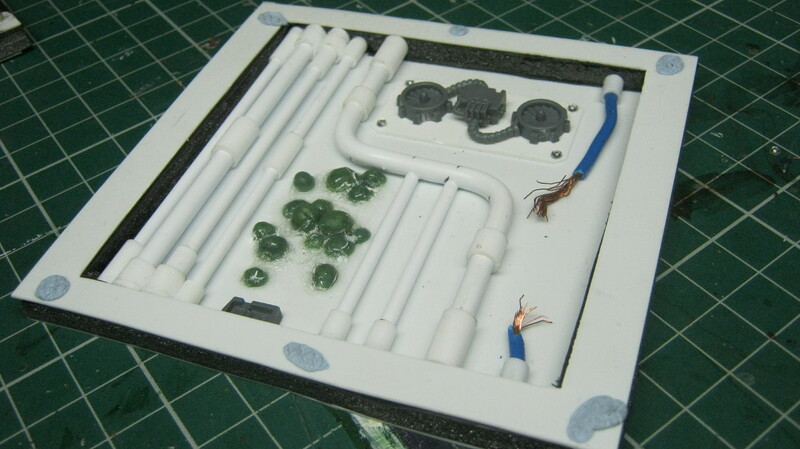 Materials: foamcard, plasticard, plastic-rod, plastic-tubing. 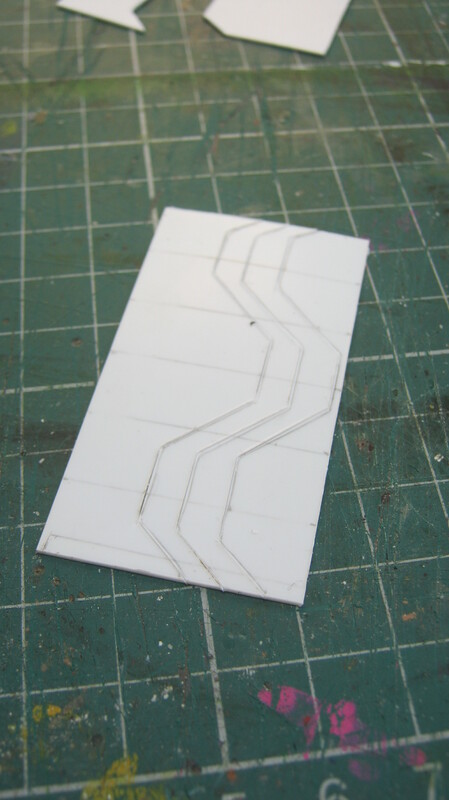 It isn’t really necessary to use the same materials that I have here, as they can be quite pricey – card and plastic straws would work just as well. 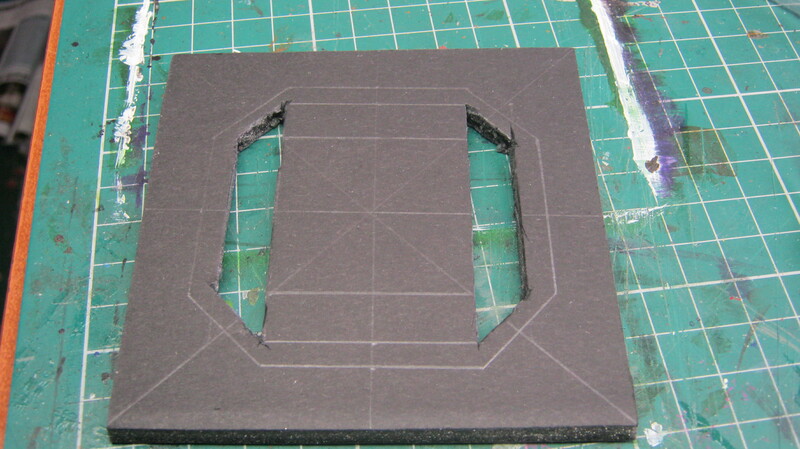 It’s worth investing in a straight-edge tool and a sharp craft-knife though. 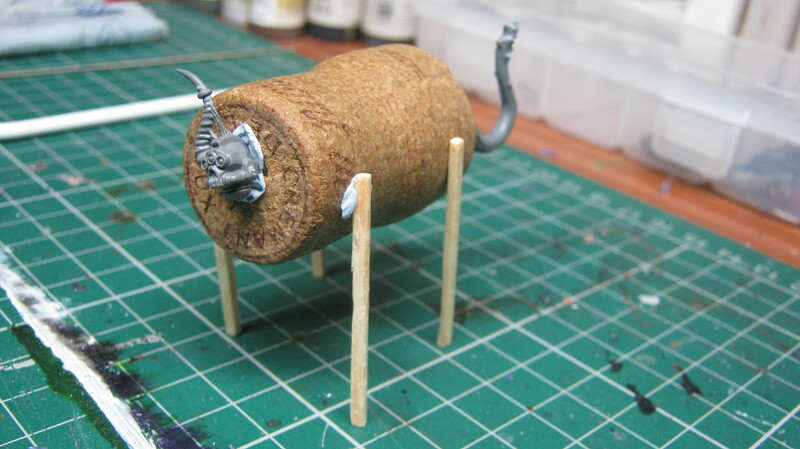 I’m not sure whether to keep it as a stand-alone model, or to make it the mount for a character. 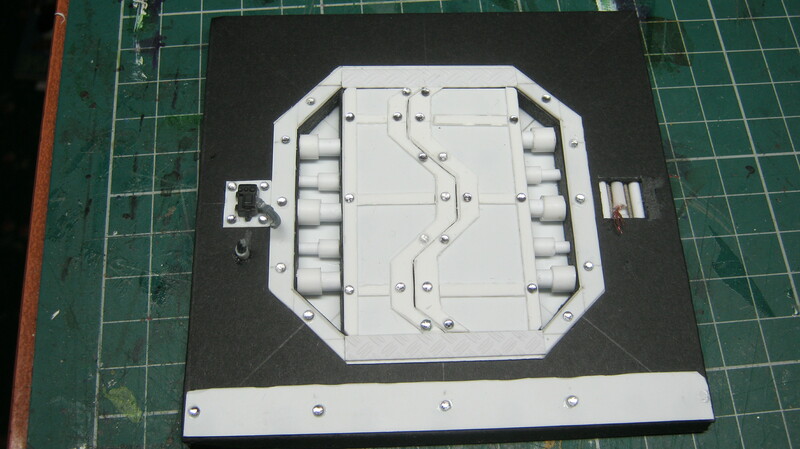 It needs a bit more work, but I’m happy with the progress so far.